I am a Qualified Spanish Teacher. I had my first experience teaching in a secondary School in Spain few years ago. Since I came to London, two years ago, I have been working as a Spanish Preschool Teacher for pupils aged 3-4 years old. It has been a great experience in my teaching career! Nowadays I am working as a Spanish Tutor to adults, doing one to one lessons for students of all levels of the Common European Framework of Reference for Languages (A1-C1). I hold the Qualified Teacher Status (QTS) and a Bachelor’s Degree in Communication and I am currently studying the Graduate Certificate in Spanish Language Teaching to Adults (GCSLTA) at The Instituto Cervantes of London. As a teacher, I am supportive of the Communicative Approach, based on the idea that learning a language successfully involves that learners practice to communicate in real situations where they can develop their natural communication skills and strategies to acquire the target language. As part of my teaching style, I also believe in the importance of teaching grammar and lexis inductively to make the students deduce, through examples, the grammar rules and words meanings. In that way students can think and realise by themselves, they are able to build their own strategies and, consequently, the learning process will be more effective. I spite of supporting one method or another, I think the best teaching practice consists in meeting the students’ needs and interests, that is why I am really sensitive with the preferences of the students regarding to the lessons and I am flexible and adapt my methodology to the characteristics of each group. I am passionate about teaching Spanish to pupils of all ages and I always bring my enthusiasm and creative ideas into the classroom in order to keep the students motivated at all times. I possess excellent organization and communication skills and I am responsible, reliable, friendly and approachable person. I like to prepare carefully my lessons and adapt my methodology to the characteristics and preferences of the students. 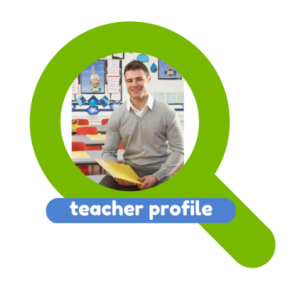 I am enthusiastic and energetic and I enjoy learning new procedures and looking for new and original resources to use in my lessons. From my professional experience working both as a Spanish Tutor and as a Preschool Spanish Teacher, I have always received positive feedbacks from managers, colleagues, parents and students for my commitment and excellent job performance. I taught Italian Language, Literature and History at university and high school students. As a university tutor, I helped students during their thesis preparation, I checked grammar and syntax mistakes in the projects and did useful research. In my opinion, one good method to learn is the self-learning: I showed my students their mistakes and brought them to understand what they did wrong, so they would not repeat the same error again. I also gave assistance and support to students. – First of all, at the beginning, I think it is useful to explain the official rules of the grammar. I believe grammar is an important component of any language. For example, without grammar one cannot understand the time of action, whether it is past or present, idioms and the correct construction of a sentence. In my opinion, the simplest way to understand the grammar of the language, rather than just studying grammar rules, is to read any Italian book or newspaper. So, I am used to pushing my students to read as much as they can and, possibly, loudly (in this way, it is easier for them to acquire a good vocabulary too). – Secondly, I often open free debates about different topics (the students can speak in Italian about anything they feel like) and, at the same time, I address them to use the language correctly, as the spoken language has to be understood. This will bring my students to use a correct pronunciation and expose their ideas clearly. – Thirdly, listening! A good method to learn Italian is watching Italian movies, news, shows and getting in touch with Italian people. These methods allow to understand not only the language but also the Italian culture and “behaviour”, that is why I like to motivate my students to watch Italian TV and get connected with natives. Furthermore, another important aspect to improve Italian language is the atmosphere! The atmosphere should be quite, informal and cheerful and I encourage my students to talk on any topic and problem. During my experience, I dealt with people who came from different country and, thanks to them, I learnt how each and every one had different culture and way of seeing the world. I think that the best way to be a great teacher is to keep an open mind and understand students’ difficulties while learning, by helping them to overcome their problems and fears. I explain in a clear and direct way by always keeping an eye on the tougher topics, trying to illustrate them in different ways to make all students understand them. In addition, I gained high-quality teaching skills during my Degree and PhD studies and I am sure I can awaken my students’ interest in learning more. Furthermore, I know how to handle my class well by opening debates and arousing important doubts related to the subject.